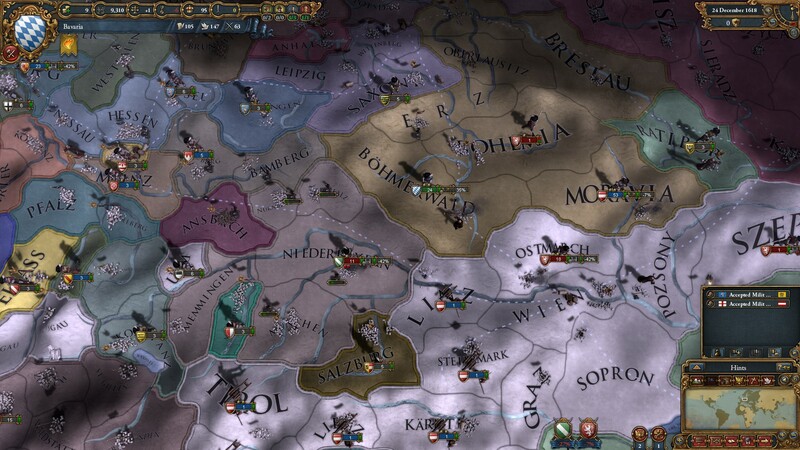 Paradox’s grand strategy game Europa Universalis IV is one of those games which keeps on giving with the new Common Sense expansion coming today along with a massive update to the base game which fundamentally changes how siege warfare works. It looks like a great set of free and paid-for changes. There’s even a video to show off what Paradox have been up to! The full list of changes can be found here, but I’ve picked out a few bits which I think are most relevant to anyone who is thinking about returning to this most massive of grand strategy games. I need to return to this game soon. – Major update to missions, where many missions were reworked and some pointless and impossible ones were removed. Most missions should now give much more interesting rewards. – Fort system was completely reworked. Most provinces no longer have forts and unfortified provinces will fall after a single month’s siege. Forts are now expensive buildings that cost monthly maintenance, but now have a zone of control in your adjacent provinces that will block the passage of hostile troops and automatically recapture provinces taken by the enemy. You can mothball forts to reduce their maintenance, and your capital always has an extra fort level that costs no maintenance but also does not have a zone of control (unless there is also a fort building there). – Building system was completely reworked. The number of buildings in the game were reduced and their cost increased, but all buildings should now have a significant effect on their province. 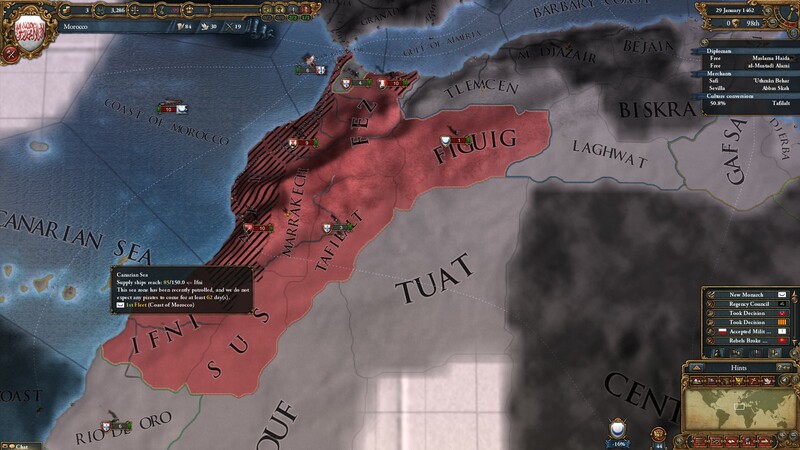 Monarch power cost for buildings was removed, but the number of buildings you can build in each province is now restricted by the province’s building slots, based on its total development level and terrain. The changes to missions is definitely a good thing, and hopefully they are more achievable and realistic for those of us who like to take charge of smaller nations. But the changes to the way forts work is massive, and will totally alter how people approach combat and siege warfare, I might have to spend quite a bit more time plotting what wars to get in the middle of when I return to the game. I can also appreciate the changes to the building system, I would often find as ruler of a small country that I was spending loads of money upgrading buildings of the same type for little reward. Less buildings, even if they are more expensive, works for me. Just one of my old screenshots. This game came out in 2013 would you believe? There are masses of changes that are coming in with the Common Sense expansion, but they will certainly have the biggest impact on those who play with nations inclined towards Constitutional setups (or the English). I’ve cherry picked the two big bits of news, but it is worth bearing in mind that religions are also undergoing something of a change. – Constitutional Monarchy, Constitutional Republic and English Monarchy now have Parliaments. Countries with Parliaments have to grant a certain number of their provinces Seats in Parliament, which then allows those seats to vote on issues. The country with the parliament can choose between a few randomly picked issues, and then have a number of years to secure enough votes for the issue to go through. Votes are secured either through events or by bribing parliament seats with things which that particular province wants. After five years of an issue being debated, there is a random chance that the vote will go through at the end of each month, with the chance of winning the vote depending on how many seats are backing it. If the vote goes through, the country gets the benefits of that issue for 10 years, otherwise it suffers a penalty to prestige. – Implemented Government Ranks feature. Each Government type can now have up to 3 ranks, with higher ranks conferring better bonuses, and higher government ranks lowering cooldown on changing your National Focus. Players with the Common Sense expansion can dynamically change their government rank through the Government screen and various events and decisions while those without are locked to rank 1 or 2 depending on whether they are independent, unless they are playing a historical empire such as Byzantium and Ming. Last time out, I was in a state of constant war. While it doesn’t move things into the family affair that Crusader Kings II often becomes, I like the sound of domestic affairs coming to the fore. Being able to play around with your parliament through bribery? It might not be FIFA, but count me in! 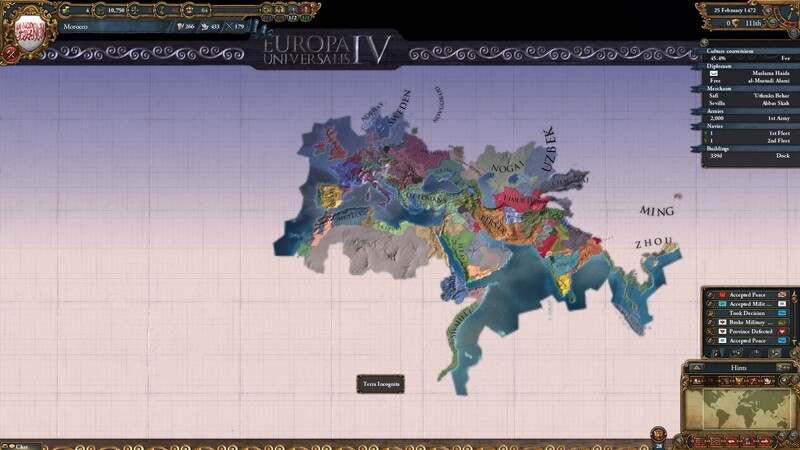 This hand video summarises some of the broad changes, do they excite you or will you stick with the vanilla Europa Universalis IV experience?